Dancing with light using the most advanced graphic equipment on the market and is a very versatile and modern flow-arts performance. The display of beautiful patterns and symbols, also matching the theme of the event such as client's logo, name of the event / wedding couples, or even photos can be projected. 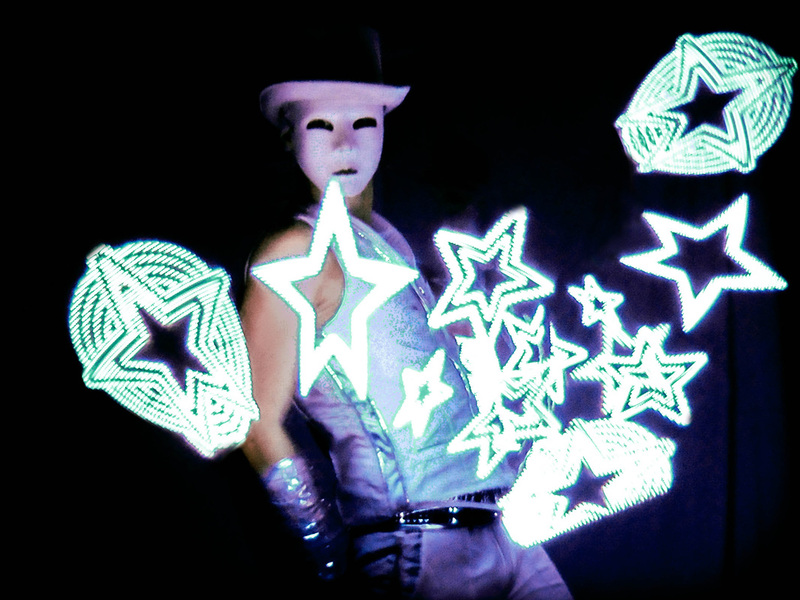 The Led-equipment is programmed in perfect sync to the beat of music. 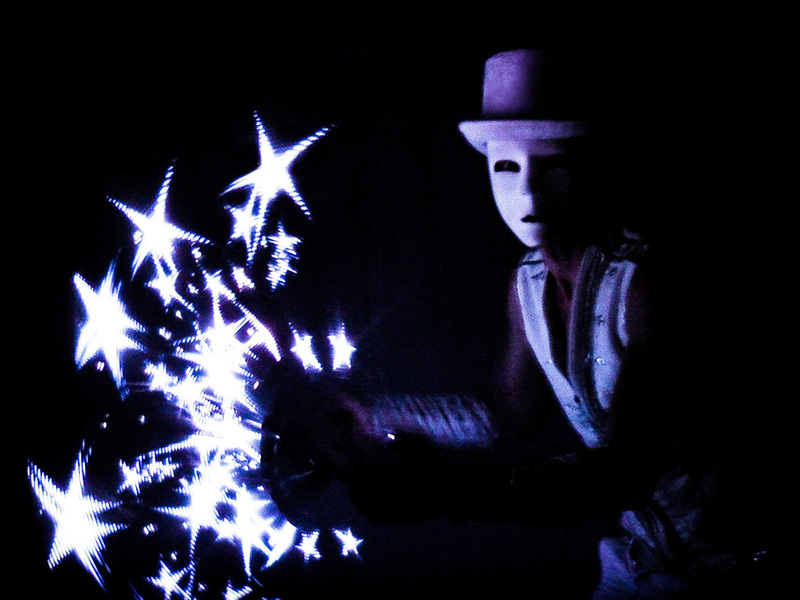 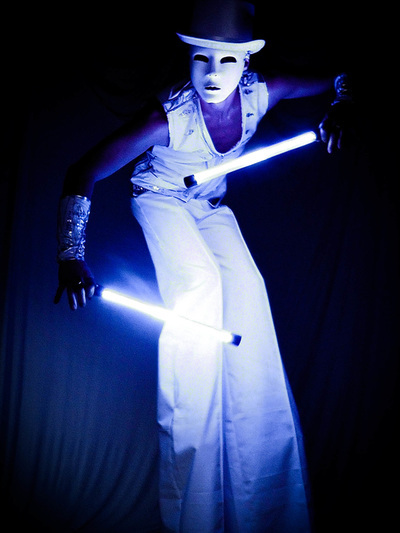 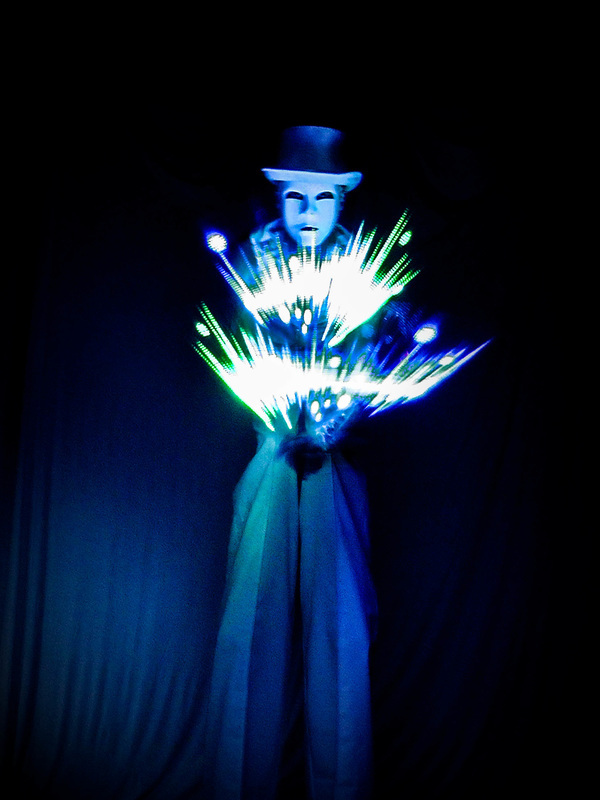 An atmospheric effect with hi-tech for any event, that is performed as a stage show or as part of a walk act. 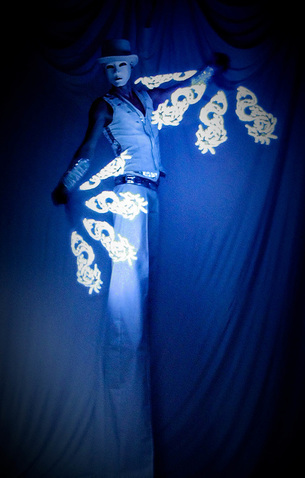 or events with a message, presented with a visual LED dance show. Graphic LED Walkact "Mr. Pix"